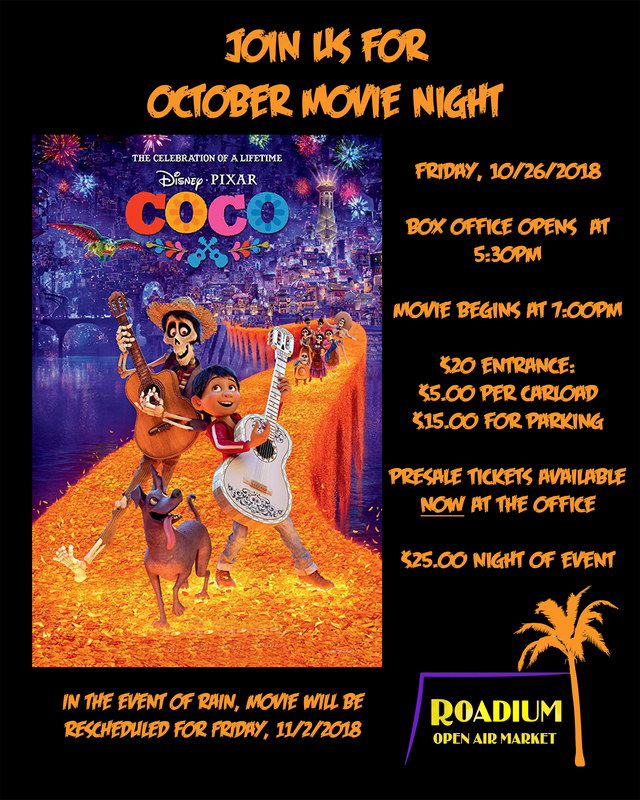 See the Disney film, “COCO” as never before: on a giant Drive-In screen in the coziness of your vehicle! Come out for the showing of this movie. We will have our Snack Bar Open, Atomic Café serving warm and delicious coffee and cocoas, and Concession foods. PRESALE Cost is $20.00: $5.00 per Carload and $15.00 for Parking. $25.00 on the Night of the viewing. For more information, call (310) 532-5678. HOPE TO SEE YOU HERE!!! !